For those who don’t have the tools or experience needed to install our mod kits, we offer the mod services listed below. 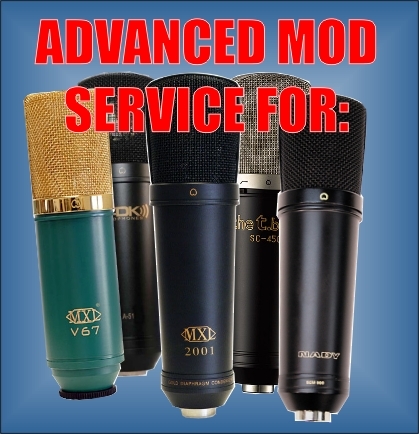 To purchase, simply complete the check-out process, specifying the quantity of mics that you would like modified. After I receive your order, I will contact you via e-mail with our shipping address (we don’t publish it here to reduce the amount of junk mail that we receive). Then, ship your mic/s to us using the shipping method of your choice. 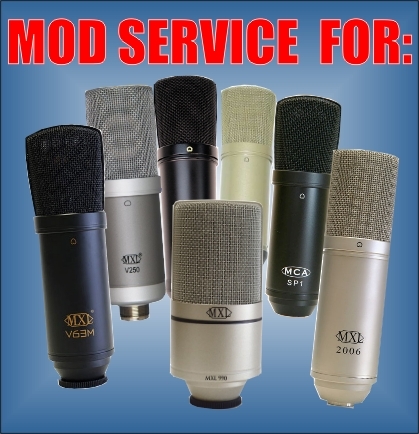 We will modify your mic/s within 7 days and ship them back to you via USPS Priority Mail. IMPORTANT: This is NOT a repair service. 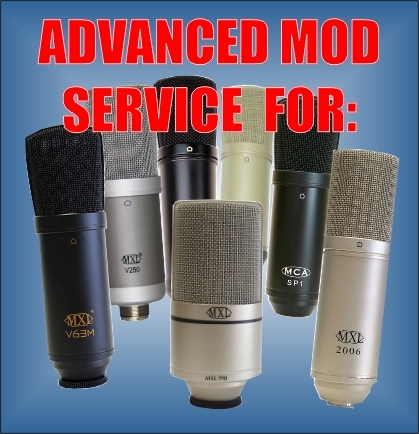 Your mics will be tested when we receive them (PRIOR to the mods) to ensure that they are in good working condition. If they are not, they will be returned to you and your money will be refunded, less the cost of return shipping. 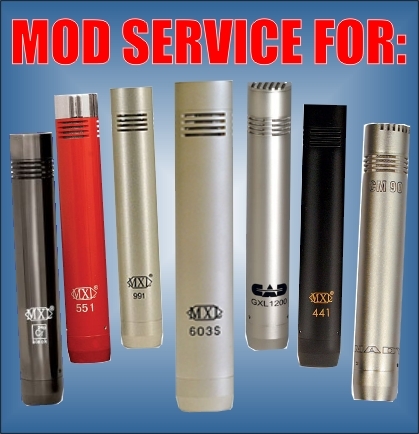 Mod services are available for U.S. customers only–no International orders, please. All prices include free return shipping. 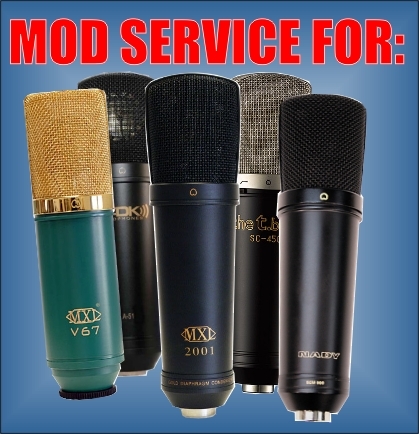 SHIPPING INSTRUCTIONS: Please follow the instructions on our Shipping Page when sending your mics to us for modification. If you do not follow the instructions, you may be charged extra for return shipping.